Ranjan, M P is the Head, NID Centre for Bamboo Initiatives as well as a Designer and Faculty member at the National Institute of Design, Ahmedabad. At NID, he has been responsible for the creation and conduct of numerous courses dealing with Design Methodology, Product and Furniture Design and Digital Design. He has conducted research in many areas of Design Pedagogy, Industrial and Craft Design and on the role of design in various sectors of the Indian economy. 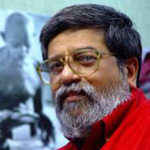 Besides publishing several papers on design and craft he has edited numerous volumes of NID publications and a major book titled “Bamboo and Cane Crafts of Northeast India” (1986) and a CD-ROM titled “Bamboo Boards and Beyond” (2001) which contains papers and reports on bamboo and on design. Involved with the creation of the Indian Institute of Crafts and Design at Jaipur, he acted as its Director in the formative stages. He helped redefine the Bamboo & Cane Development Institute, Agartala and set up the programmes to establish the new format. He has recently co-edited a major publication “Handmade in India” He is an advisor to many State and Central Government Ministries in formulating strategies for the future use of bamboo and design. Craft, Handloom, Art, Education, ICH-Policy, Mgmt., Devt., Sustainability, Sustainable Devt. Craftspersons, Artisanal, Design, Designers, Sustainability, Sustainable Devt. Safeguarding, Endangered, Sustainability, Sustainable Devt.